HALO Trust deminers work in the background as cattle herders cr oss a minefield in northeastern Zimbabwe. Photo © Michael P. Moore. Today, 35 years after the war ended and the independent state of Zimbabwe emerged, tens–maybe hundreds–of thousands of people live with the constant threat of landmines in Zimbabwe. 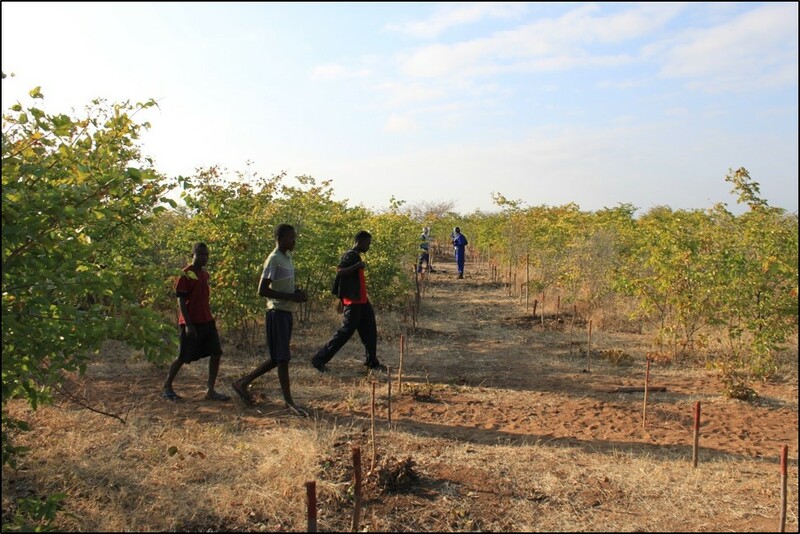 The number should stagger: 1.5 million landmines lie along Zimbabwe’s borders–more landmines than in Afghanistan, five times as many as have been found and cleared in Mozambique. Laid by the Rhodesian army in a futile bid to prevent liberation fighters from entering the country, already a million mines have been cleared as a result of efforts in the early 1980s, the late 1990s and since 2012. Yet every day, ordinary people cross some 200 square kilometers of minefields on one of the innumerable paths to find water, to graze livestock, to tend crops, or go to school. There are currently three organizations clearing landmines in Zimbabwe: ZIMAC, Norwegian Peoples Aid and the HALO Trust. ZIMAC and the engineering division of the Zimbabwean army is active in the minefields near the Gonarezhou National Park in the southeast. Norwegian Peoples Aid is clearing the landmines along the eastern border north and south of the city of Mutare. The HALO Trust has responsibility for the remaining minefields, representing 70% of the total contamination, along the northeastern border. It was recently reported that the Director of ZIMAC, Col. Mukhuli Ncube told parliamentarians responsible for oversight of ZIMAC that with ZIMAC’s current level of funding from the government, US $500,000 annually, landmine clearance would take 20 years. ZIMAC requested an increase to US $1 million, which would presumably halve the timeline to ten years. Speaking with Tom Dibb, leader of the HALO Trust’s program in Zimbabwe, he said that he estimates that with the current level of funding from international donors–like the US State Department, the Japanese Ministry of Foreign Affairs, and Irish Aid– and if the current pace of clearance can be maintained, demining of the tasks assigned to HALO would require 30 years. Dibb also recommends mechanical clearance techniques in some areas where landmines have been found at a depth of 30 centimeters or more. 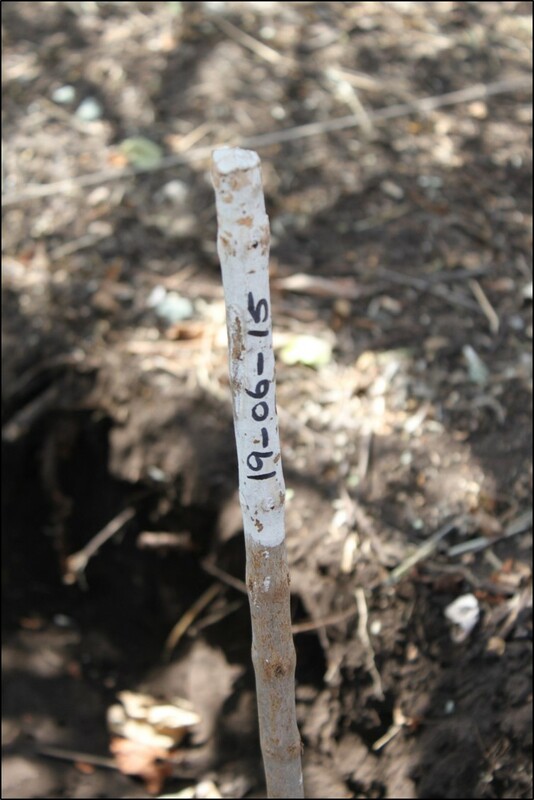 White stick showing the location of a landmine that had been cleared by the HALO Trust on the same day the photo was taken. Photo © Michael P. Moore. If the goal of clearing all landmines in Zimbabwe by the internationally-recognized end date of 2025 is to be met, investment in demining in Zimbabwe will have to at least double if not triple. Mechanical assets and other equipment that has been used in Mozambique could be re-deployed to Zimbabwe once Mozambique has completed its Article 5 obligations later this year. Additionally, funding that had been supporting international operators in Mozambique could be re-programmed for Zimbabwe. ← New antipersonnel landmine use by North Korea?